Blowers and industrial fan ventilators sales, special alloy pressure blowers, FRP fans and stainless steel pressure blowers / SST ventilators, centrifugal and axial flow fans and ventilators. Sales of high temperature oven circulating plug fans and air-kit fan ventilators, power roof exhaust fans, propeller wall fans and axial duct ventilator blowers. Industrial regenerative pressure blowers; industrial; process and commercial heating; ventilating and air-conditioning HVAC. 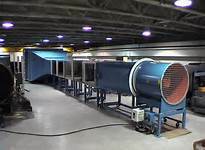 Industrial and Commercial Fans, Blowers and Ventilators, MakeUp Air Units, Louvers, Dampers, Heating/Cooling Coils, Humidifiers and Air Curtains. 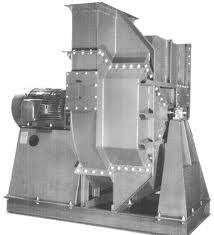 We supply technically advanced line of centrifugal blowers, indusce draft fans, industrial centrifugal pressure blowers, forced draft ventilators and OEM fans and blowers. These industrial blowers are highly efficient and reliable - to suite the most demanding requiremens of our customers applications. Our engineering and technical team designs Single Width Centrifugal Fans that very are popular among our OEM and Industrial clients because of their unmatched reliability and high performance. 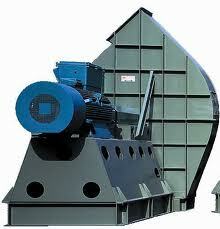 We offer a complete line of Forced Draft Fans (FD Fans) for various industries. Our range of Induce Draft Fans includes top of the fan housing open to view the arrangement of the suction cone and the wheel shaft seal. The clearance between the inlet cone and the impeller shaft seal ensures to deliver the optimum performance and highest fan efficiency. Centrifugal Blowers and Fans are designed for the highest efficiency and maximum performance to satisfy the most demanding Industrial and OEM fan / blower applications. Quick supply of idustrial axial fans, air circulation ventilators, warehouse ventilators, high volume ventilation fans, hot air ventilation fans, industrial exhaust fans, portable industrial blowers, garage ventilators, PRV roof fans, explosion proof pressure blowers, wall ventilators, fan wheel blades, combustion pressure blowers, pvc ventilators, ID fans, FD fans, force draft ventilators, induse draft blowers, propylene & FRP PVC ventilators, spark-resistant blowers, sealed ventilators, dust collector ventilators & fans. 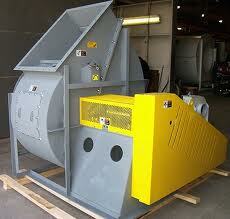 Canada Blower is a major Industrial and OEM fan and blower supplier in North America. Canada Blower fans are well know for their highest manufacturing quality, reliability and industrial toughness for many years across the world. Canada Blower Pressure Blowers are ideal for combustion air, pneumatic conveying systems, fluid bed aeration, cooling, drying systems, and recommended to use in various high pressure applications. 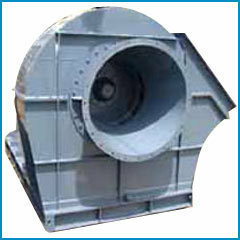 Canada Blower's SQB fan is regarded as a high performance, trouble free fan proven in a myriad of industrial applications. With its backward inclined fan wheel and square housing design, the SQB fan is efficient, economical and versatile. It is also quickly available through Canada Blower's Stock Fan program. "Packaged" fans, those furnished with motor, V-belt drive, belt guard and other options, are factory aligned, run tested and shipped ready to install. By eliminating jobsite assembly, the packaged SQB fan can substantially reduce overall installation cost. The SQB Type "B" fan wheel has backward inclined blades designed to handle corrosive or dusty airstreams. Typical fan applications include oven circulators, dust collector exhaust fans, fume exhausters and emissions control system. Since the blades are solid steel, the "B" fan wheel is ideal for custom applied corrosion resistant coatings. The SQB is also suited for high temperature gasses and air to 650°. For greater safety in explosive environments, spark resistant fan construction is offered. The versatile SQB fan is furnished in 14 sizes in Arrangements 1, 9 or 9H and in three classes of fan construction.